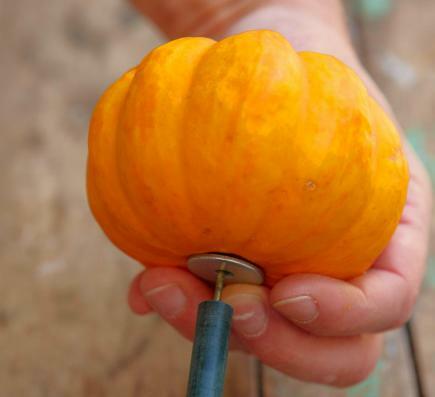 With a handful of garden stakes and some simple hardware, you can transform palm-size pumpkins into a bouquet of magical torchères in minutes! 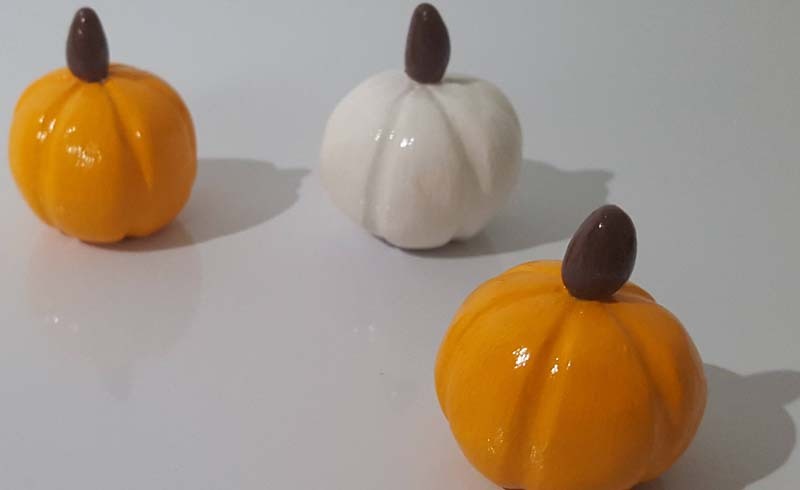 To get ready for this project, gather miniature pumpkins, an apple corer, a grapefruit spoon, nails, washers, tea-light candles in metal cups (or battery-operated tea lights) and bamboo garden stakes. 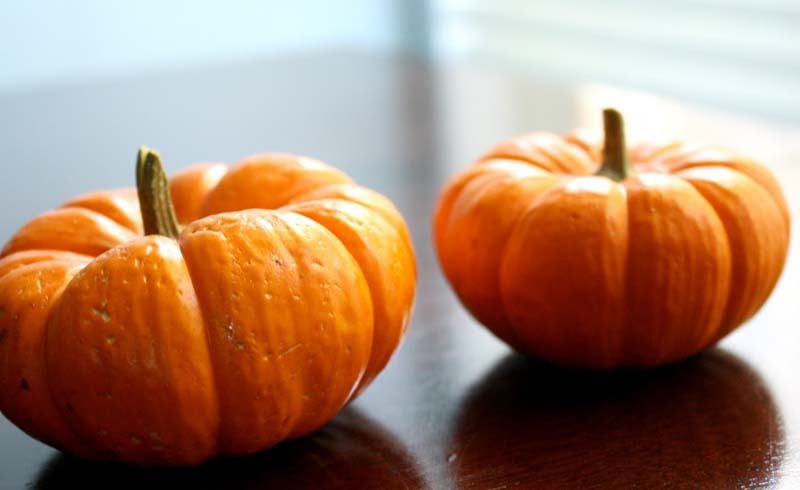 Snap the stem off each pumpkin. 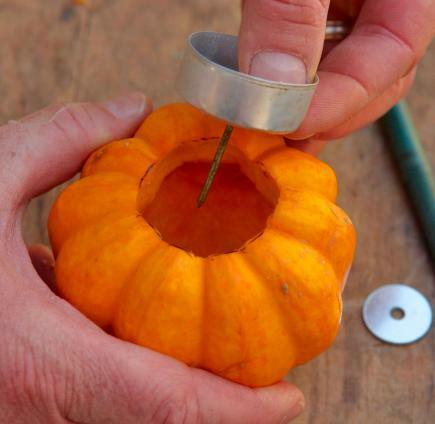 Using an apple corer, cut an opening the diameter of the tea light in the top of each pumpkin. 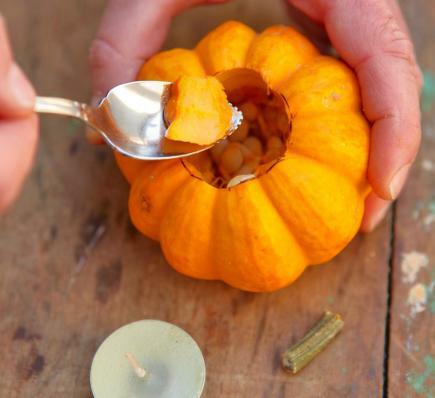 Scoop out the seeds and pulp with a grapefruit spoon. To stabilize the tea light, first remove the candle from the metal cup, then push a nail through a washer and the tea-light cup. 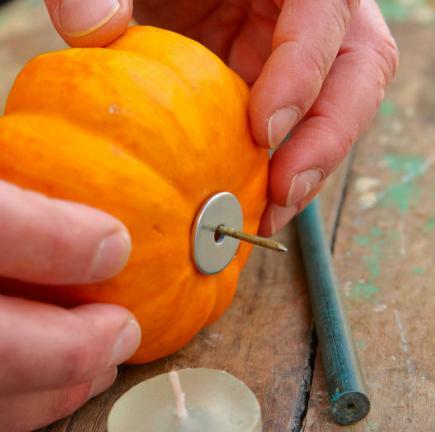 To finish stabilizing the light, press the nail through the bottom of the pumpkin and another washer. 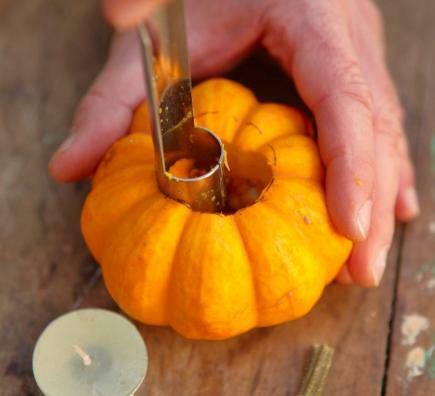 Anchor the pumpkin by pushing the nail into the center of a bamboo stake, then place the candle back inside the cup. Finish by standing your torchères in a bucket filled with sand or gravel. 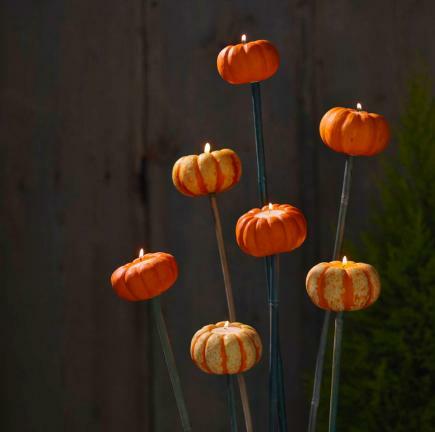 Light the candles and marvel at your glowing fall masterpiece!